MUSCAT are you ready for The Biggest Color Festival with over 12 hours of unlimited fun, colors, dance, music, performances, entertainment and exicitement ??? 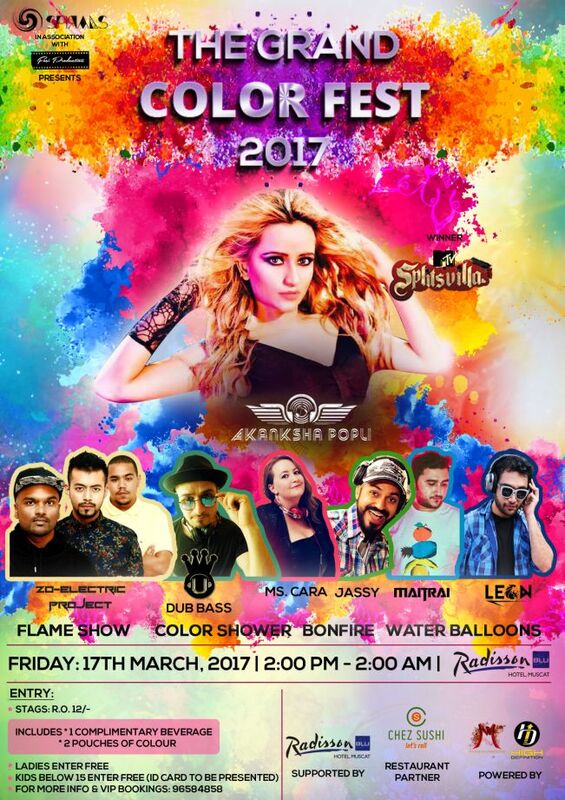 Spirals Group and Fasi Production proudly present to you “The Grand Color Fest 2017” at The Radisson Blu Muscat on Friday, 17th March from 2 pm till 2 am. Come and Witness the most exciting colorful experience you have ever imagined with the biggest Dj line up and lots of entertainment options. 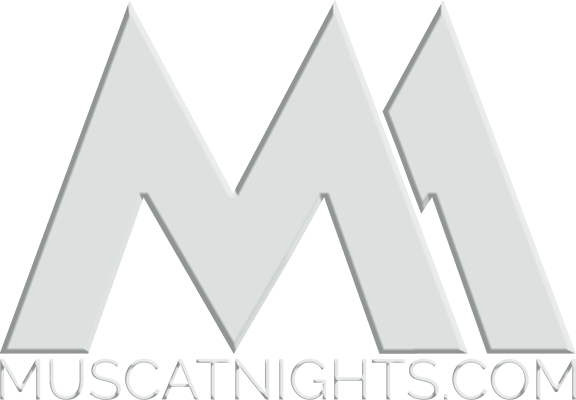 9) All Genre of Music like House, Hip hop, Rnb, Bollywood, Punjabi, EDM, Commercial, Deep House, etc.